Congratulations to Professor Denis Burnham who has been elected Fellow of the Academy of the Social Sciences in Australia (ASSA). Professor Burnham was formally inducted into the Academy at the ASSA General Meeting and Annual Symposium held in Canberra on 14 November 2018. 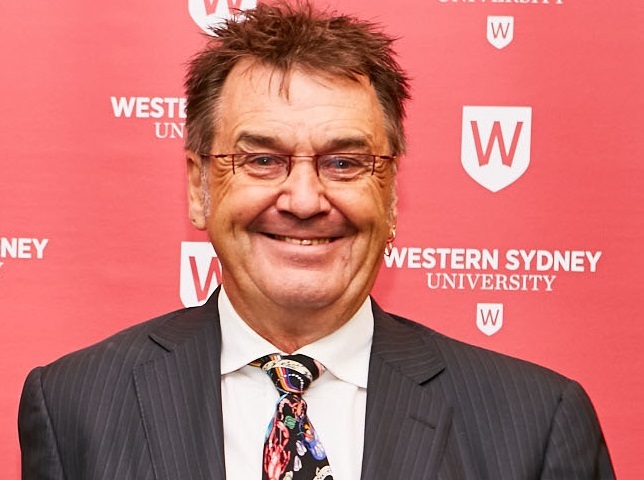 As the founder of the MARCS BabyLab (opens in a new window), and inaugural Director and Academic Leader of the MARCS Institute at Western Sydney University, Professor Burnham joins an exclusive Fellowship of top Australian scholars inducted to the Academy in recognition of a lifetime of academic achievements in the fields of social science. Growing the reputation and research excellence of the MARCS Institute from a small team of half a dozen people in 1999 - to more than 150 academic staff, students and professional staff by 2014 - Professor Burnham envisaged and built state-of-the-art research labs, establishing and leading the MARCS BabyLab, and indefatigably initiated and led major interdisciplinary, multi-institution projects throughout his career. Now, as co-founder of the Asia-Pacific BabyLab Constellation (ABC), a community of researchers focused on communicative, social, and cognitive development of infants and young children in the Asia-Pacific region; Professor Burnham is currently facilitating international collaboration of BabyLab research laboratories from across seven countries including Australia’s own MARCS Institute BabyLab at Western Sydney University. Professor Kate Stevens, Director of The MARCS Institute at Western Sydney University commends Professor Burnham’s prestigious honour. “Professor Burnham has long been recognised for his research into infant speech perception, language acquisition, cross-language research, closed captioning for hearing impaired, cochlear implants and lexical tone, and auditory-visual speech perception”, says Professor Stevens. “This achievement is the result of a lifetime of academic contributions of excellence and we are so proud to continue to work closely with Professor Burnham at the MARCS Institute”, she said.